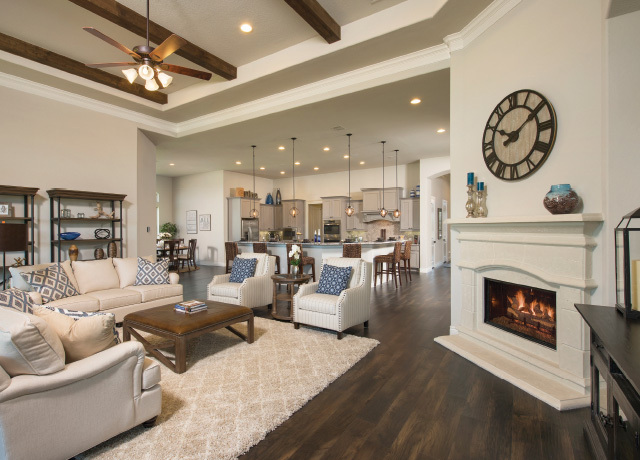 1-story floor plan features an extended entry with 13' ceilings. 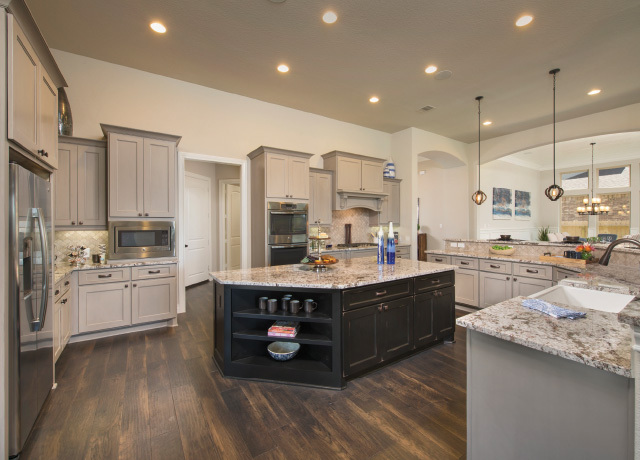 Open kitchen with oversized island that overlooks family and breakfast rooms. Oversized 24'x22' family room with corner fireplace. 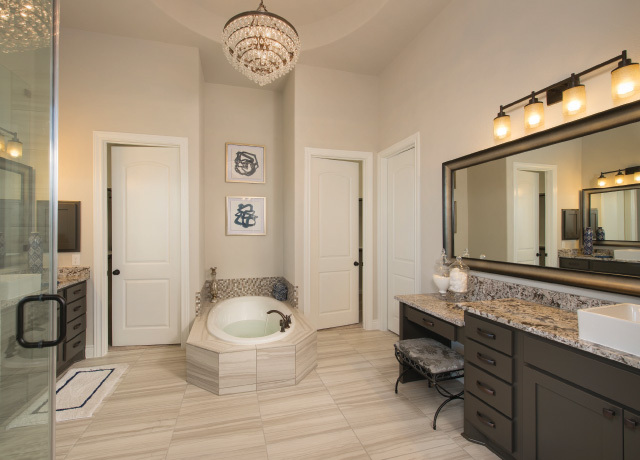 Large master bath includes a 6' garden tub, separate shower, His & Hers vanities, and dual walk-in closets. 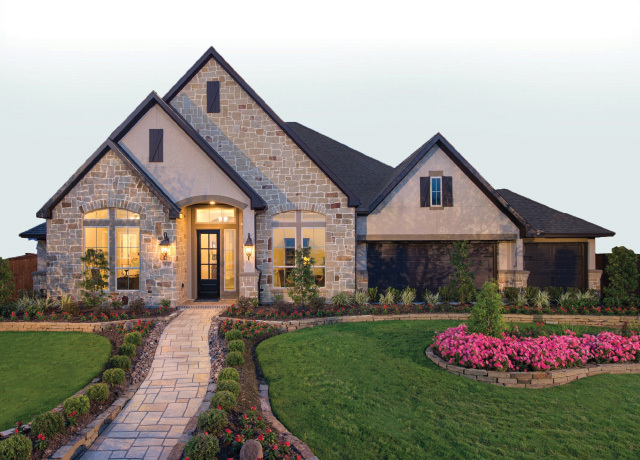 4 Bed • 3½ Bath • 3,358 sq. ft.
4 Bed • 3 Bath • 3,030 sq. ft.
3 Bed • 3½ Bath • 2,688 sq. ft.
4 Bed • 3½ Bath • 3,710 sq. ft.